We succeed—both as a business and a corporate citizen—because of our suppliers who share our commitment to elevating patient care around the world. We partner with suppliers who share our commitment to innovation and are willing to help us address some of the world’s most pressing health challenges. To ensure our suppliers meet AbbVie’s quality, compliance and social responsibility requirements, we work closely with them. Not only do we communicate with our network of suppliers regularly, but also, we monitor and help them enhance their performance based on our well-defined, stringent metrics. 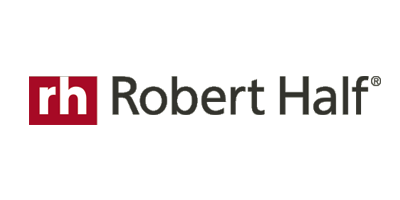 Our Mission is to own and develop financially disciplined businesses that are leaders in responsibly providing adult tobacco and wine consumers with superior branded products. Amgen’s Supplier Diversity Program, managed by Global Strategic Sourcing, provides opportunities to small and diverse businesses to supply goods and services to Amgen. Amgen’s Supplier Diversity Program is governed by the Supplier Diversity Policy and is consistent with Amgen’s Diversity and Inclusion strategies. 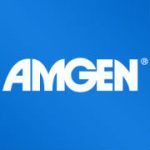 A supplier diversity course is available to Amgen’s staff through Amgen’s on-line training system. Amgen strives in its procurement program to identify, develop, and utilize small business concerns, including those that are disadvantaged, veteran-owned, service-disabled veteran-owned, women-owned, as well as Historically Underutilized Business Zones (HUBZones). Amgen’s intent is to support economic development efforts to the extent that jobs may be provided, entrepreneurship may be advanced, and useful goods and/or services may be procured at competitive prices. Over the years, Apple has developed an entire ecosystem of suppliers who support our business operations. 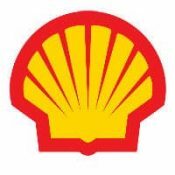 Our goal, in a nutshell, is to obtain stellar products and services within tight timeframes, at a cost that represents the best possible value to our customers and shareholders. If that sounds like a daunting task, it’s the same one we assign ourselves. We are proud of the strong relationships we have built with our suppliers, many of whom have been working with us for years. And we are always looking to expand our supplier base to accommodate our rapidly growing customer base. To that end, we periodically review our relationships and add new suppliers as needed. The businesses we categorize as diverse suppliers are Minority-Owned, Women-Owned, Veteran-Owned, and Service-Disabled Veteran-Owned Small Businesses, as well as businesses located in Historically Underutilized Business regions (HUBZone) and Small Disadvantaged Businesses (SDB). The diversity of our supply chain is one of the many ways we offer distinctive value to our customers — by fostering economic growth in the communities they serve. As a worldwide company that works with more than 2,500 suppliers ranging from multinational corporations to single-family farms in developing nations, Cargill has a wide range of organizations to tap. JPMorgan Chase has been fully committed to Supplier Diversity for over 24 years, including establishing positive relationships with other companies and organizations that are equally dedicated. Over the past eleven years, JPMorgan Chase spent over $15 billion with diverse suppliers. JPMorgan Chase Global Supplier Diversity’s mission is to align our supply base with our consumer bases; develop and engage with certified and qualified diverse businesses in the interest of promoting economic growth in our communities. We have created a Supplier Diversity Network (SDN) through which certified Minority-, Woman-, Veteran-, Service-Disabled Veteran-, Disability-, Lesbian, Gay, Bi-Sexual, Transgender (LGBT)-Owned businesses register with the firm. This network is the preferred resource used to select diverse suppliers to compete for contracting opportunities. Working as a trusted advisor to the Supplier Diversity community, CVM’s mission is to support every program by providing superior end-to-end Supplier Diversity solutions. Equipped with unparalleled data intelligence, superior technology and expert guidance, businesses can effectively establish and advance their diversity initiatives. CVM partners with corporate supplier diversity programs in every stage of their evolution; from those that are just getting started, to the most advanced, world-class programs. A company with approximately 29,000 employees and 520,000 vehicles requires a sizeable supply of goods and services, and our needs cannot be met by a single supplier. Our increasing cooperation with disadvantaged, minority and women-owned companies has allowed us to strengthen our supplier base, and form great partnerships with hundreds of companies who have contributed to our success. This is why we are continually improving and enhancing our Supplier Diversity Program. We realize all kinds of businesses wish to do business with us and all of them deserve our consideration. Our program allows that to happen. It encourages companies that meet the definition of a diverse-owned business to register with us through our online portal. Managers throughout our company are then encouraged to consider using these diverse suppliers when they are procuring goods and services on behalf of the company. 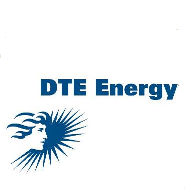 DTE Energy Co. is a diversified energy company involved in the development and management of energy-related businesses and services nationwide. Our largest operating subsidiaries are DTE Electric and DTE Gas. Together, these regulated utility companies provide electric and/or gas services to more than three million residential, business and industrial customers throughout Michigan. For 45 years, DuPont has had a formal commitment to supplier diversity as an essential business strategy that recognizes the economic advantages of tapping into the strength of small and diverse suppliers and of helping create strong economies. “At DuPont, we realize the strategic importance of having a supply base that reflects both the diversity of our company and the global nature of our customers. When we partner with qualified small and diverse suppliers, we are not only helping to better meet customer expectations, but also contributing to the economic growth in the communities where we live and work. We know that our suppliers are integral to our success, and we appreciate the innovation and value that our small and diverse suppliers bring to our businesses each and every day”. — Ed Breen, DuPont Chairman and CEO. DynCorp International is a leading global services provider offering unique, tailored solutions for an ever-changing world. Built on seven decades of experience as a trusted partner to commercial, government and military customers, DI provides sophisticated aviation, logistics, training, intelligence and operational solutions wherever we are needed. DynCorp International is headquartered in McLean, Va.
We believe that doing business with a diverse set of suppliers delivers value to the company and creates a competitive advantage for us by linking the fresh perspectives and nimble thinking of ethnically diverse, women-owned, and small businesses to our internal business needs. We actively seek to expand relationships with these types of suppliers, which we view as an often untapped source of talent. Since 2005, the U.S. Small Business Administration has recognized us as “outstanding” in our efforts to promote and maintain supplier diversity. In 2016, we spent more than $599.6 million with 600+ suppliers classified as diverse, woman- and/or LGBT-owned businesses, as well as more than $558.4 million with 1,500+ suppliers classified as small businesses. Entergy Corporation is an integrated energy company engaged primarily in electric power production and retail distribution operations. Entergy owns and operates power plants with approximately 30,000 megawatts of electric generating capacity, including nearly 10,000 megawatts of nuclear power, making it one of the nation’s leading nuclear generators. Entergy delivers electricity to 2.8 million utility customers in Arkansas, Louisiana, Mississippi and Texas. 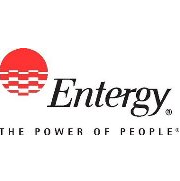 Entergy has annual revenues of more than $12 billion and approximately 13,000 employees. Ericsson is a world-leading provider of telecommunications equipment and services to mobile and fixed network operators. Over 1,000 networks in more than 180 countries use our network equipment, and more than 40 percent of the world’s mobile traffic passes through Ericsson networks. In 2014, Ericsson established a world-class diversity program offering a matchmaking event, mentorship program, workshops and seminars, a two-tier diversity reporting portal, diversity sponsorships, growth opportunities for suppliers, and community service. Ericsson is committed to the utilization of Minority, Women and Disabled Veteran Businesses to build a “best in class” diversity program. ​​​Suppliers around the world provide more than 75% of the components used in our vehicles, so it is essential that the principles of sustainable operations are embraced at each step of the way. Our suppliers join us in working toward responsible and sustainable sourcing and operations. 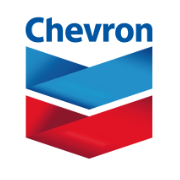 We recognize and value their impact on our efforts to increase awareness and transparency through each tier while reducing risk and the effect on our resources. Learn about Ford’s Supplier Diversity Development (SDD) Program and how we have organized ourselves to achieve success. Corporate suppliers to Ford can get the latest information on how to improve their programs (Ford’s 2nd Tier Sourcing Program). We have also included an extensive resource section which links to public and private sector Supplier Diversity information. W. W. Grainger, Inc. is a Fortune 500 industrial supply company founded in 1927 in Chicago. Grainger is committed and supports the growth of businesses owned by minorities and women by giving these businesses the opportunity to compete for our business. It is our company policy to ensure this takes place. Learn more about Grainger’s Supplier Diversity program. As the leading industrial supplies distributor in North America, suppliers are critical to our success. Grainger uses an extensive review process to select products that meet our high requirements, so we can supply customers with high-quality supplies, gear and equipment, when and where they need it. An expanding distribution network, broad product line and delivery options help customers save time and money. 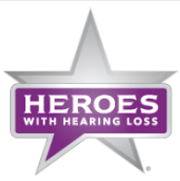 Hamilton has been providing telecommunications relay services for individuals who are deaf, hard of hearing, deaf-blind or have difficulty speaking since 1991. Hamilton Relay is a division of Hamilton Telecommunications®, a diversified telecommunications service provider headquartered in Aurora, Nebraska. Established in 1901 as a small regional telephone company, Hamilton Telecommunications has grown to not only provide local telephone service and relay services, but also to provide internet service, information systems, call center services, long distance, and cable television for its customers. 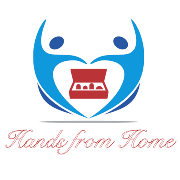 The purpose of Hands from Home to ensure that the selfless service men and women of this country are never without a reminder of our gratitude and the reminder that there are people waiting for their safe return. Lastly, I know it gets tough to stay on track with sending these packages on a regular basis. Especially when you have kids, a job and/or school obligations. So, let us take the stress out of creating, packaging and shipping the package for you! Diversity is the engine that powers our success, providing a wealth of talent, experience and perspective that enriches everything we do. From our workforce, to our supply base, to our legions of loyal riders, diversity takes us to the next horizon. Two wheels, two fenders, two mirrors, two foot pegs. And so on. 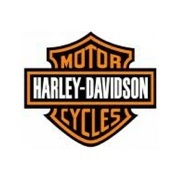 Building Harley-Davidson ® motorcycles takes two. In more ways than one. That’s why we’re looking for partners who can supply innovative solutions to help us get our bikes on the road. At Health Care Service Corporation (HCSC), our mission is to maximize procurement opportunities for minority-owned, women-owned and other diverse businesses by proactively seeking qualified suppliers, building sound partnerships with and competitively purchasing from diverse suppliers. Suppliers as diverse as our properties. 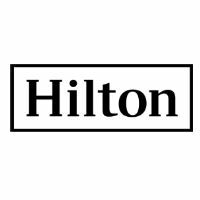 The Hilton Worldwide vision is to create supplier relationships that reflect the cultural diversity of local communities. Our commitment is rooted in the belief that relationships with new and diverse suppliers will establish our leadership role in the global marketplace and creates a multitude of benefits for our customers, team members, and stakeholders. Honda suppliers are critical to our ability to meet and exceed our customers’ expectations. Our Supplier Diversity Initiative helps us reach our goal of building a diverse supplier base. At International Paper, supplier diversity extends well beyond our commitment of being a good corporate citizen. We fully understand that a diverse supplier base must be an integral part of our supply chain. Through the power of a diverse supplier base, we will succeed with Customers and deliver Operational Excellence to achieve our goal of making International Paper one of the best and most respected companies in the world. 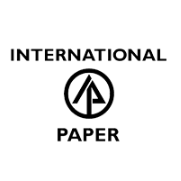 A diverse supplier base also enables International Paper to contribute to the economic well being of the communities in which we live and work. 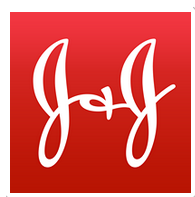 At Johnson & Johnson, we recognize the importance of having a diverse supplier base that reflects our patients and customers around the world. We are committed to working with small and diverse suppliers that can support our long-term growth objectives and add value to our businesses by providing innovative solutions to our marketing, manufacturing and R&D efforts. The Johnson & Johnson Supplier Diversity Program was formally established in 1998, and since then our total spending with small businesses and diverse-owned suppliers has been nearly one billion dollars. Our Supplier Diversity Network is comprised of certified diverse businesses that have registered in our system. The Network is the preferred resource used to select diverse suppliers to compete for contracting opportunities. As bidding opportunities arise, the Corporate Supplier Diversity team, working with sourcing and procurement professionals, actively utilize this database to screen diverse suppliers against industry—specific criteria for the opportunity at-hand. To receive maximum consideration for these opportunities, you should be diligent in maintaining a current and accurate listing in the system, keeping key—contact and email addresses current. At Johnson & Johnson, we recognize the importance of having a diverse supplier base that reflects our patients and customers around the world. We are committed to working with small and diverse suppliers that can support our long-term growth objectives and add value to our businesses by providing innovative solutions to our marketing, manufacturing and R&D efforts.The Johnson & Johnson Supplier Diversity Program was formally established in 1998, and since then our total spending with small businesses and diverse-owned suppliers has been nearly one billion dollars. Monsanto welcomes all suppliers who are committed to cultivating trust through integrity and support our commitment to sustainable agriculture. We strive to protect and preserve our planet by producing more, conserving more and improving lives around the world. 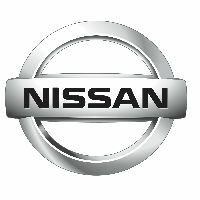 We are committed to lead responsibly through a collaborative partnership with suppliers. If you are interested in exploring opportunities with Monsanto, we invite to you to visit us online. Diversity & Inclusion is a business imperative and strength for Union Bank. It is part of who we are and everything we do, from recruiting and engaging our employees to selecting vendors and reaching out to our customers. Our commitment to diversity is recognized as among strongest in the nation, as is evident by the composition of our Board of Directors, which includes over 55 percent minorities and women. We will further strengthen our position as a diversity leader across our broad base of stakeholders. Union Bank will, across everything we do, reflect the diversity of the population with whom we do business. Our shareholder, employees, clients, vendors, and the communities we serve will, in turn, recognize Union Bank for our leadership and reward us for it. Here with you. Here for you. At National Grid we are committed to delivering safe and reliable energy to the customers and communities we serve. We are one of the largest investor-owned energy companies in the world – covering Massachusetts, New York, Rhode Island and the UK.We are at the heart of one of the greatest challenges facing our society—delivering clean energy to support our world long into the future. Every day we work with stakeholders to promote the development and implementation of sustainable, innovative and affordable energy solutions. 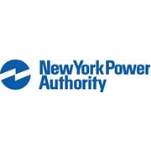 We’re the country’s largest state public power organization, producing some of the cheapest electricity in North America. We established our Supplier Diversity Program in 1983, consistent with our mission to promote economic development throughout New York State and our commitment to expand the participation of Minority- and Women-Owned Business Enterprises (M/WBEs) in our contracting and competitive-bidding processes, both for direct procurement of goods and services and through subcontracting opportunities. 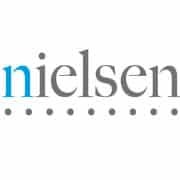 At Nielsen, diversity is not just a goal, it is a business imperative. Our effectiveness at embracing the talents of people of different backgrounds, experiences and perspectives is key to our continued success in providing clients with information they need to succeed, and in making certain that all communities and individuals we depend upon to provide us with information about consumer behavior understand who we are, what we do and agree to participate in our consumer samples. Promoting diversity is just good business. Because our workplace, our marketplace, our community – they’re all connected. 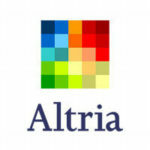 Our Corporate Diversity Initiative aims to improve business results by ensuring that our core businesses (Sales, Marketing and Distribution, Manufacturing, Research & Development, Design, Procurement, and administrative support functions) meet the distinct needs of an increasingly diverse customer base and labor market. At Northrop Grumman the Global Supplier Diversity Programs (GSDP) Office acts as the liaison between prospective small and disadvantaged businesses interested in working with Northrop Grumman and the company’s procurement organizations. The Office’s efforts to increase the number of successful minority and women –owned contractors by providing outreach and mentorship have been recognized nationally. Other small disadvantaged businesses include Historically Black Colleges and Universities, Minority Institutions, Veterans, Service Disabled Veterans and HUBZone business concerns. 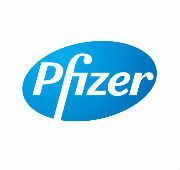 Novartis Pharmaceuticals Corporation can gain a competitive advantage by utilizing small and diverse suppliers. Diverse suppliers can broaden the offering of products, services, expertise, innovation, and ideas. Novartis requires all of our suppliers to register with us to support our compliance for supplier diversity reporting and to smooth the way for fast and effective transactions with your organization. By seeking to continually identify and partner with best-in-class diverse suppliers, Novartis Pharmaceuticals Corporation offers opportunities that will support their own growth and development. Good health is vital to all of us, and finding sustainable solutions to the most pressing health care challenges of our world cannot wait. That’s why we at Pfizer are committed to applying science and our global resources to improve health and well-being at every stage of life. We strive to provide access to safe, effective and affordable medicines and related health care services to the people who need them. We have a leading portfolio of products and medicines that support wellness and prevention, as well as treatment and cures for diseases across a broad range of therapeutic areas; and we have an industry-leading pipeline of promising new products that have the potential to challenge some of the most feared diseases of our time, like Alzheimer’s disease and cancer. Pitney Bowes’ commitment to diversity spans more than forty years. Our supplier diversity program has been in place for almost twenty years and we have repeatedly been recognized both regionally and nationally for our supplier diversity performance and best practices. We firmly believe that diverse businesses enhance our supply base providing innovative strategies and solutions while meeting or exceeding expectations in the areas of cost quality and delivery. Raytheon Company is a technology and innovation leader specializing in defense, security and civil markets throughout the world. With a history of innovation spanning 92 years, Raytheon provides state-of-the-art electronics, mission systems integration and other capabilities in the areas of sensing; effects; and command, control, communications and intelligence systems; as well as a broad range of mission support services. ReWalk Robotics is an innovative medical device company that is designing, developing and commercializing exoskeletons allowing wheelchair-bound individuals to stand and walk once again. The ReWalk™ systems allows the user to sit, stand, walk, turn and has the ability to climb and descend stairs*. ReWalk users are able to independently operate the systems. San Diego Unified is committed to ensuring that emerging, small and underutilized construction-related businesses have viable opportunities to participate in all Propositions S and Z construction projects. The business outreach database is the main communication tool San Diego Unified uses to provide notices and information about construction opportunities. Find out more today! At Sanofi US we strive to maintain a mosaic of worldwide talent by working and consulting with diversity organizations to ensure our recruitment processes are effective. We have a significant presence among organizations with extensive women and minority audiences and we leverage networking and relationship building to enhance our recruiting effectiveness. At Sanofi US, our commitment to diversity does not end at the recruitment process. With an equal focus on recruitment and retention, our global diversity charter serves as a continuous reminder of our pledge to embrace and foster the development of every individual at every level of our organization. By instituting meaningful training and career development programs that produce tangible results as well as ensuring a focus on supplier diversity, we will enrich our workplace today while positively impacting our workforce of tomorrow. Below are examples of training and development programs offered at Sanofi US. 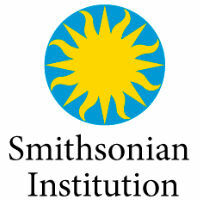 Founded in 1846, the Smithsonian is the world’s largest museum, education, and research complex, consisting of 19 museums and galleries, the National Zoological Park, and nine research facilities. Sodexo is committed to supporting diverse growth and development in the communities we serve. To achieve this, our company has a full time Supplier Diversity staff that is focused solely on pursuing these opportunities. Every year, Sodexo continues to increase our spend with diverse business enterprises that provide us with products and services that meet our high standards of quality, competitive pricing, and service. We currently partner with more than 1,298 diverse suppliers. 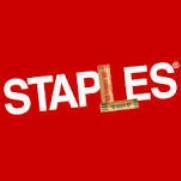 Staples values diversity and recognizes how important diversity is to maintaining a competitive advantage in today’s marketplace. The mission of our Diversity Supplier Program is to work with diverse businesses to reduce supply chain costs and to increase revenues by bringing superior products to market. Connecting customers with suppliers Staples’ business-to-business Supplier Diversity Program helps our customers achieve their corporate diversity goals. We create vendor-buyer relationships that allow diverse organizations to continue to develop in our communities, while offering our customers a wider selection of quality products at competitive prices. The Department of General Services (DGS) serves as business manager for the state of California. General Services helps to better serve the public by providing a variety of services to state agencies through procurement and acquisition solutions, real estate management and design, environmentally friendly transportation, professional printing, design and web services, administrative hearings, legal services, building standards, oversight of structural safety, fire/life safety and accessibility for the design and construction of K-12 public schools and community colleges, and funding for school construction. The DGS PD, Office of Small Business and DVBE Services (OSDS) is the state’s certifying agency that administers the small business and DVBE certification programs. In addition, the Outreach Section assists small and disabled veteran businesses by participating in outreach events, providing resource guidance and supporting the businesses through advocacy. We believe that companies that actively embrace diversity and consistently demonstrate their commitment to the many communities they serve, establish a sustainable competitive advantage in the marketplace. 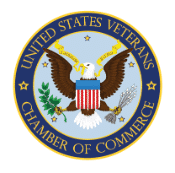 The USVCC serves as an umbrella organization to state, regional, and municipal-run veteran chambers throughout the United States and Canada. We are dedicated to assisting the 2.5 million veteran owned businesses across the United States in obtaining their certification as either a Veteran Owned Business, a Service Disabled Veteran Owned Business, a Veteran Gold Star Spouse Owned Business, or Disabled Veteran Care-Giver Owned Business. Additionally, we improve the connection between corporate, government and small business entities through events, education, workshops, matchmaking, and other resources. The USVCC is dedicated to ensuring both parties are ready for the next potential contract. Provide relevant or niche products that align with the unique shopping patterns of our customers on a community-specific or chain wide basis. Provide necessary support services, such as information technology, legal, construction, and facilities maintenance, as well as professional services that enhance Walgreens overall business operation and efficient execution. As the world’s largest retailer, Walmart strives to save people money so they can live better. This mantra is at the core of every decision we make. One way we fulfill this commitment is to embrace diversity in all aspects of our organization; from our talented associates to the supplier partners we work with to deliver the products and services our customers want and need. An important aspect of meeting these needs across Walmart is our Supplier Diversity Program. This program provides companies owned and operated by minorities, women, veterans and people with disabilities equal footing to effectively work with us while at the same time, growing their own business. To succeed in financial services, we must be committed to serving our diverse customers, team members, and suppliers. Therefore, we are committed to building relationships within our communities through the development and engagement of certified minority, women, disadvantaged, and small business enterprises as partners of Wells Fargo products and services.